INTERNATIONAL car leasing and rental experts globalCARS have just released a range of 2019 Early Bird deals which include savings of up to $1114 for Peugeot’s European self-drive holiday leases of 21 days or more. The Sydney-based operators have deals which include seven free days for all bookings, plus 50 per cent discounts of pick-up and drop-off fees with a further three free days for recent repeat customers or an option of 10 per cent off leases of 90 days or more. 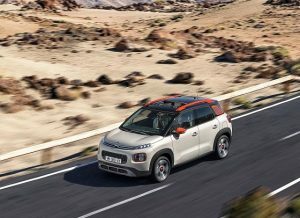 The company is also offering Citroen Europass rates of as little as $62 a day for 28 days on 2019 bookings and with Peugeot Europe rates from just $73 per day for 28 days. Both these are book and pay by December 31, 2018. For some deals available from Renault Eurodrive the Clio 4 Petrol Manual rate starts from as low as $25 a day for longer leases up to 175 days and also give pick-up discounts and free bonus days for repeat customers. European vehicle leases made through globalCARS also include full insurance with no excess including fuel inversion (incorrect fuel), glass and punctures. 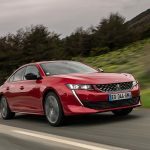 Citroen Europass, DS Automobiles, Peugeot Europe and Renault Driveeurope vehicles can be driven throughout the UK and Europe, in Baltic countries and several eastern European regions.